Do you dream of transforming your photographs or artworks into digital prints with eye-catching vibrant colors and added customization? Do you wish to salvage your treasured family photos that are fading in the course of time? This is where Superchrome - a one stop solution for all your digital print solutions is right at your service. A leading digital printing company in the UK - Superchrome is the world-class provider of a variety of digital print on canvas, particularly in demand in museums and galleries. 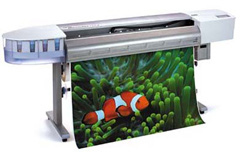 Utilizing our latest digital technology, Superchrome offers bespoke digital printing solutions on canvas. Artists, photographers, architects, interior designers or any creative person can realize their most fanciful dreams at Superchrome. We specialize in abstract canvas print, canvas art print, canvas photo printing and giclee print. To ensure that your digital print on canvas lasts long without any fading or damage from scratches or cracked corners, we use specific pigment-based water resistant inks, lightfast UV inks and quality photo dye. We give an added unique protection to your canvas prints with lamination and UV stability. We are proficient in producing digital prints on canvas using 100% pure 340 gsm cotton or cotton-polyester canvas. Our clients get the opportunity to choose from the available canvas options like unstretched, stretched or framed canvas. We also work with the choicest of canvas materials such as water resistant canvas, fast dry matte canvas, fast dry glossy canvas, coated cotton canvas and more. We will stretch your digital print on canvas onto various frames for mounting according to client specifications. Your completed artworks or photos can be retouched and enhanced to give them the best imaging quality. We can produce your prints in full color or black and white and optimize it for the best color resolution. We also offer multi-canvas prints where the images are split and printed across multiple canvases along with basic image enhancement/restoration before printing. If you insist, we can provide you with free digital sample so that you can check the print quality before ordering. Go ahead and give us a call to discuss your requirements. Or you can e-mail us for further queries. If you would like to know more about digital print on canvas, any of the projects shown or if you want to discuss any project you have coming up then contact us 020 7237 9333 or fax 020 7237 9444 or email sales@superchrome.co.uk. Our experienced personnel would be able to guide you appropriately.